Soundreef Ltd is an Independent Management Entity (Directive 2014/26/EU) publicly registered with the Intellectual Property Office of the United Kingdom, Spain and the Czech Republic. Soundreef Ltd operates worldwide, either directly or via representation agreements, and it manages the rights of over 31,000 musicians and music publishers worldwide, 14,000 of whom are in Italy alone. These include artists such as Enrico Ruggeri, Fedez, J-Ax, Rovazzi, Gigi D'Alessio, Maurizio Fabrizio, Nesli, 99 Posse, Noyz Narcos, Achille Lauro, Biondo, Dark Polo Gang and Boss Doms. Soundreef Ltd is owned by Soundreef S.p.A., a company that develops the appropriate technology for monitoring, collecting and maximizing the earnings of musicians and music publishers. The company regularly deals with millions of transactions and analyzes a vast amount of data, with the aim of improving data security and efficiency in the music industry. Soundreef S.p.A. also controls Soundreef Media Service S.r.l., a company which provides ambient sound and music for large retail outlets, as well as Soundreef CZ s.r.o., which is an Independent Management Entity in the Czech Republic. If you’re looking for information to write an article about us and you need more details, here you will find everything you need to discover Soundreef and our services..
Soundreef and Streamit team up! CEO & BOARD MEMBER - Soundreef S.p.A.
PRESIDENT & BOARD MEMBER - Soundreef S.p.A.
A private equity and venture capital investor with more than 10 years of investing experience. Founder of VAM Investments S.p.A.
BOARD MEMBER - Soundreef S.p.A.
Broad range of experiences in management and entrepreneurship. Angel investor and Partner of LVenture Group S.p.A.
More than 20 years of experience as an entrepreneur and investor in various industry. 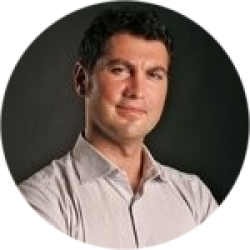 Founder, CTO and Member of the Board of Venere.com. He is an angel and VC investor. M&A advisor VAM Investments S.p.A., 4 years with Absolute Energy Capital and 9 years of experience in Investment banking. Founder of E-Lex legal services with focus on intellectual property. Over 12 years of experience working on Internet-related law issues. 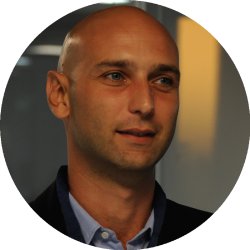 Francesco is an IT expert with a 10 years experience in managing technology infrastructure for the music industry. ADMINISTRATIVE COORDINATOR - Soundreef S.p.A.
7 years of experience in various administration and project management roles. Adrian has vast experience and expertise in the music industry in Italy and abroad. He was CEO of BMG Ricordi S.p.A. and director of Polygram (today Universal Music) in Italy, UK, Holland and Argentina. Lucian is an Engineer with a passion for music and technology. SALES DIRECTOR - Soundreef Ltd. Expanding ideas in the music industry. For 25 years he has managed events, trade agreements and partnerships in Europe, USA, Australia, Canada, Japan and Corea. SALES MANAGER SOUTH EUROPE & LATAM - Soundreef Ltd.
An experienced sales executive in the mass retailers business. You get to work in a high-growth, venture capital funded start up created with care by a bunch of young professionals who want to revolutionize the way music royalties are collected and distributed to artists. In this section you'll find the documents with all the rules and conditions regarding the membership for right holders (which is free for both writers and publishers) and the price list for music users according to the different services currently available.